The Gatehouse Chelsea conforms to British Standards PAS015:2011 and carries the BSI Kitemark and is suitable for all competition use (excluding XC). Prices start at just £64.79. 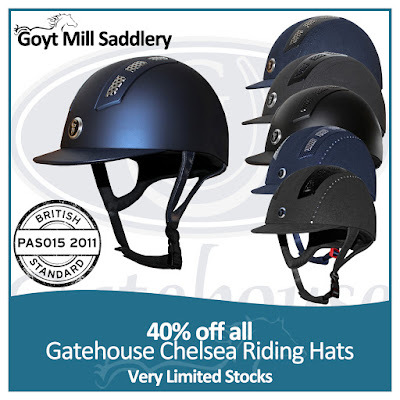 We highly recommend you are fitted by a professional and trained riding hat fitter before purchasing any riding hat. We offer free hat fitting by our fully trained staff when purchasing any riding hat in-store. This offer is available in-store with free fitting.